Welcome to the Servants of the Blessed Sacrament site. Please feel free to visit as long as you like. Explore all our sections and get to know about our life and spirituality. We look forward to hearing from you. The USA branch of the Servants of the Blessed Sacrament, an international congregation, is situated in Waterville, Maine and Pueblo, Colorado. We are a contemplative community for women. Eucharist is our life! 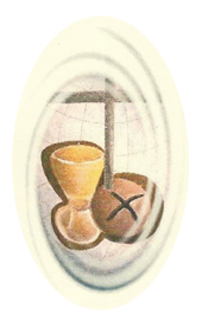 Following in the footsteps of St. Peter Julian Eymard, we seek with the church to discover the riches of this "great mystery of faith" which is the Eucharist, to live by it and witness to it. Chapel opens at 7:00 a.m.
Chapel closes at 6:00 p.m.
5: 30 p.m. Daily Mass.